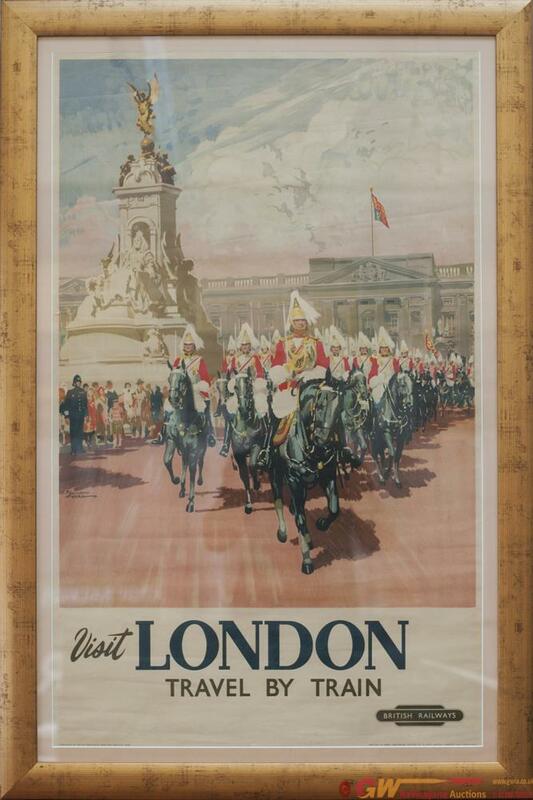 Poster BR(W) VISIT LONDON TRAVEL BY TRAIN by Gordon Nichol. Double Royal 25in x 40in. Has been loosely framed in a gilded frame ready to display. Poster is in good condition with one small edge tear.